NYC Flooring Group, as New York carpet repair experts, understands that not all installations come out perfect, whether you have just had one bedroom carpet installed in your home, or had your whole office carpeted, problems do arise. At NYC Flooring Group we offer flooring repair service for carpeting that has buckled up, carpeting that is unraveling, carpet seams that are open, re-gluing carpet back down to the sub floor, repairing burned carpet, as well as carpet patching. Our experts have completed many NY metro carpet flooring repair jobs, Manhattan carpet flooring repair, Queens carpet flooring repair, Brooklyn carpet flooring repair, Bronx carpet flooring repair, Long Island carpet flooring repair, Nassau County carpet flooring repair, Suffolk County carpet flooring repair, Westchester carpet flooring repair - when looking for New York carpet flooring repair services, be sure to give us a call-you won’t find prices lower the ours. 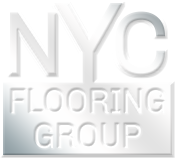 Contact the New York carpet repair experts at NYC Flooring Group if you need a flooring repair service for your home or business.